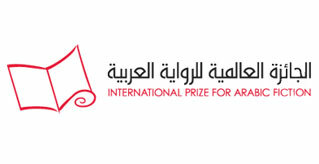 The International Prize for Arabic Fiction (IPAF) is the most prestigious and important literary prize in the Arab world. The annual prize is given to a novel in Arabic which the judges consider to be the best of that year. Its aim is to reward excellence in contemporary Arabic creative writing and to encourage the readership of high quality Arabic literature internationally through the translation and publication of winning and shortlisted novels in other major languages. At 9am GMT / 1pm GST on Monday 7 January, the 2019 longlist of 16 books and the panel of five judges who selected the novels will be announced via press release. The longlist will be chosen from 134 submissions which have all been published between July 2017 and June 2018. The Prize is sponsored by the Department of Culture and Tourism – Abu Dhabi (DCT) and run with the support, as its mentor, of the Booker Prize Foundation in London.